What you are looking at in this picture is not a phone that is on the market today, but really should be. 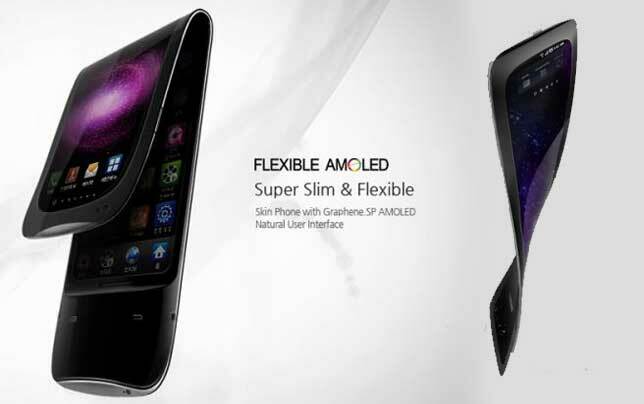 It is a concept phone by a designer named Heyon You for Samsung. It is made from two AMOLED panels, a protective glasses cover,module case, and silicone rubber. It also has a foldable display, which is not new technology in the sense that someone has done it before. I’ve been hearing about foldable and rollable displays since I started reporting about tech 5 years ago. I always thought that whoever gets their hands on the flexible display could make a killing, but they would have to work well. Samsung has stated that this bendable display can take a punishment of 100,000 folds before a six percent decrease in brightness along the seam. My Source describes this phone as a clam-shell/candy-bar hybrid. It also suggested that a folded screen can display information like time, missed calls, text messages, and other quick info that my old clamshell phone displayed. When the phone is opened, the user can have access to all the apps.